Ron grew up in a small rural town in North Carolina and started his teaching career at a challenging school. To engage its disaffected students, he rapped his lessons, dressed in costumes and stood on his head, doing everything he could to make learning exciting. He brought joy to the classroom, and test scores soared. After five years at this school, during which time he was invited to the White House three times, Ron saw a TV show about challenges in NYC’s school system. He was compelled to move there and soon began teaching in New York City’s Harlem. Within a year all his students were at or above grade level. Ron’s innovative way of teaching consists of a three-pronged approach. He aims to put students into a good mood, so that they are more likely to retain information. He makes a point of creating personal relationships with his students and their families. And lastly, his classes are extremely demanding: he teaches to the top students, so that the gifted ones are challenged and the others are inspired to catch up to their level. 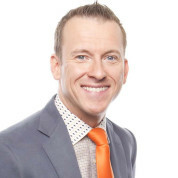 Ron was named American Teacher of the Year and his experiences were turned into an Emmy-nominated movie, “The Ron Clark Story”. He also wrote a book, “The Essential 55”, about the character-building rules that he teaches his students. With the royalties from the book, his income from speaking engagements and a lot of donations he set up his own demonstration school in Atlanta, a project that he had dreamed of for a while. His school delivers exceptional education outcomes and has hosted over 30,000 educators who come to learn his approach and techniques. Join the #TeachersMatter movement by sharing Ron Clark’s update.